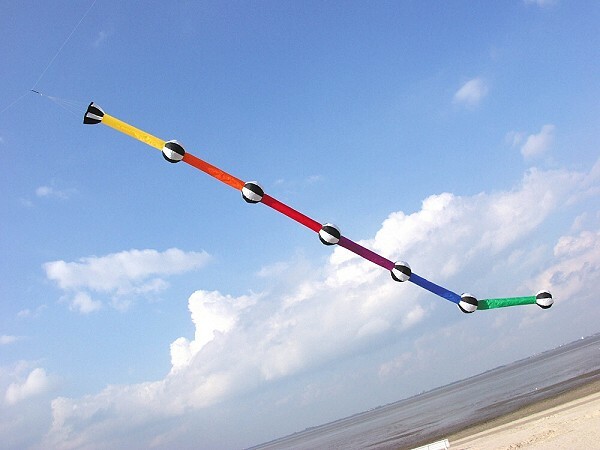 Three dimensional wind inflated tube with 6 sculpted 15 inch bubbles, for medium size kites or telescopic poles. 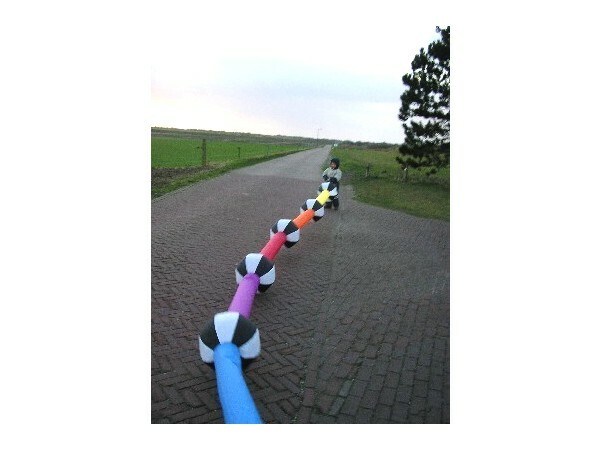 6 Rainbow tube sections with Black & White Bubbles and wide inflation mouth. Use a 9ft Delta or Large Power Sled for instance, to lift this unique piece of line laundry. Looks great in multiples. Can also be used as an unusual tail. Storage stuf-bag included.